Professor Eva Díaz recently delivered a talk on Buckminster Fuller’s maps, his concept of “anti-entropy,” and their important influence on Robert Smithson at the Mercosul Biennial in Porto Alegre, Brazil, curated by Jose Roca. Her article on the Prospect 2 Biennial in New Orleans will appear in the upcoming issue of Artforum. Professor Díaz’s interview with Alfredo Jaar appeared in the Cooper Union book The Crude and the Rare, edited by Saskia Bos and Steven Lam, and her interview with Carlos Motta appeared in the Routledge volume Net Works: Case Studies in Web Art and Design, edited by Xtine Burrough. Professor Díaz’s article reviewing the recent exhibitions and literature about the Bauhaus appeared in the summer issue of Art Journal, and her article on the New Orleans-based artist Deborah Luster will appear in the forthcoming issue of the UK journal Art & the Public Sphere. She will be writing on Sharon Lockhart for catalog of the Los Angeles County Museum of Art and The Israel Museum, Jerusalem 2012 exhibition on the artist. She is a regular contributor to Artforum, and her writing has appeared this year in Frieze, Tate, Etc., and Grey Room. 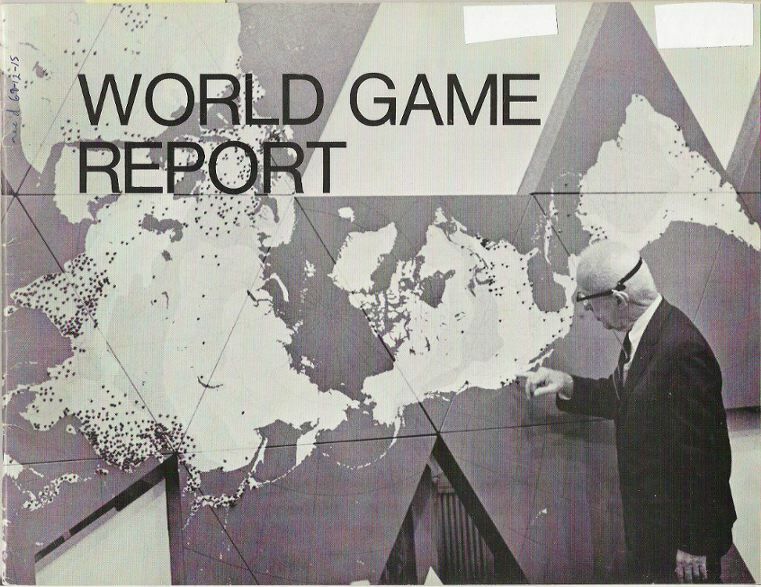 R. Buckminster Fuller on the cover of World Game Report, 1969, R. Buckminster Fuller, Edwin Schlossberg, and Daniel Gildesgame, eds. Photography by Daniel Gildesgame and Herbert Matter.